Jalandhar: Aiming to encourage spinal cord injured persons lead an inclusive life, the Jalandhar Administration, Lovely Professional University and Spinal Cord Injury (SCI) Association joined hands to observe ‘SCI Day 2017’ at LPU Campus. More than 150 SCI affected persons, their family members, hundreds of NSS volunteers at LPU and all 22 Spinal Cord injury affected students studying on 100% scholarship at LPU participated actively in the event. On this occasion, ‘Spinal Cord Injury Day’ rally was also flagged off to Wagha Border to awaken national and international people about injuries which shatter lives of injured ones. Homage was also paid to departed souls of two members Harpinder Sanghera and Taranjeet of SCI Association. Their family-members were also consoled to bear the irreparable loss and LPU Management made relevant job-offers to them. Eminent guests of the occasion included MLA Jalandhar (North Zone) Bawa Henry, IG Police Arpit Shukla, Additional Deputy Commissioner Bhupinder Singh, ACP Deepika Singh, LPU Chancellor Mr Ashok Mittal, Pro Chancellor Mrs Rashmi Mittal, President SCI Jalandhar Association Parvinder Singh Sonu, Vice President Devinder Singh and more. MLA Bawa inspired affected ones to be always hopeful and invoked society to share responsibility towards such persons. IG Police Shukla was excited to mention that the activities of SCI association have been converted into a great ‘movement’ by bringing more and more awareness all around. 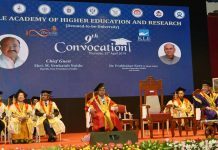 Mentioning LPU as the only university in the country to help SCI affected persons in large number, he praised LPU Management for unique efforts made, especially in providing 100% scholarship for educating such young persons. Praising SCI Association members and other affected persons, Mr Shukla said that all of them are indeed great source of inspiration for others also. ADC Bhupinder Singh referred the event as noble cause; being herself a Physiotherapist before joining Police Service, ACP Deepika wanted people to feel the discomforts of SCI affected ones and render them regular inspiration like this celebration. Appreciating the slogan of the association ‘Can’t walk, Let’s fly’, Chancellor Mr Mittal congratulated all those 120 SCI affected persons who recently braved paragliding experience. Offering jobs to the family-members of the departed souls, he also ensured that LPU Management is always ready to accord necessary help, as all of them are very close to his heart. Appreciating Bagha Border as concluding point of the rally, he mentioned that it is sure to awaken the neighbouring country also as such pains are alike to all nations and their nationals. Worth mentioning, International Spinal Cord Society (ISCoS) observes ‘Spinal Cord Injury Day’ every year to awaken general public to facilitate an inclusive life for “injured” persons, and to propagate prevention programs. During awareness rally by 150 wheel-chaired persons, placards were displayed by NSS Volunteers with pledges of precautions. Most of the placards instructed to observe traffic rules as most of the SCI cases emerge from road accidents. These were read as: “I will never use mobile phone while driving or crossing the road; follow all safety rules like putting on Seat Belt/ Helmet; help disabled ones while crossing roads; use only footpath while walking; follow Zebra Crossing; look both sides of the road before crossing; and, many more”. SCI affected LPU student Mahima Gaur (B Ed); Danish Singh (B Tech ECE); and Raman (Animation & Photo Journalism), who hail from different parts of the country, thanked LPU for providing them golden chance of being regular students under all facilities. They wished that there should be researches through which SCI affected ones may be able to live full-fledged life once again.